Missouri Gov. 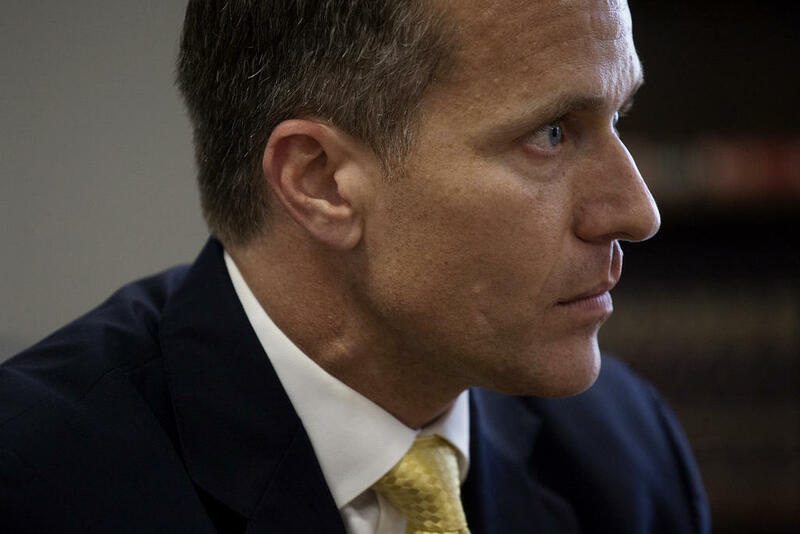 Eric Greitens helped engineer a freeze on low-income housing tax credits. And that decision is likely to stand unless the legislature makes substantial changes to the program. In response, the Senate sought to prevent Greitens’ appointees from ever serving on the commission that approves state low-income housing tax credits. Those three, Craig Porter, Alan Simpson and John Scariot, ended up resigning from the Missouri Housing Development Commission on Thursday. Yet in many respects, how the Senate acted makes no difference: Greitens still possesses all the leverage to block the tax credits as long as he’s governor. Here’s why: Regardless of whether the Senate voted down Greitens’ nominees or if they voluntarily resigned, the commission only has six out of 10 members — which is the exact number required to have a quorum under state law. But that threshold is only reached if Greitens shows up to meetings, which is a fairly rare occurrence. Even if the governor did regularly show up, it’s highly unlikely his presence would prompt state low-income tax credits from being issued again. That’s because state law says that “no action shall be taken by the commission except upon the affirmative vote of at least six of the members.” Four out of the six current commission members, including Greitens, voted for the tax credit embargo. 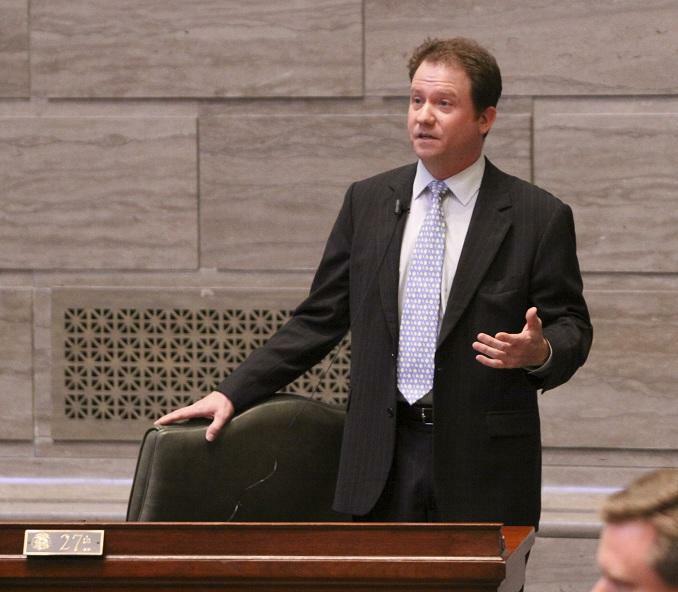 Sen. Jason Crowell was one of the chief critics of the low-income housing tax credit program when he served in the Missouri Senate from 2005 to 2013. “This game’s already over,” said Crowell, who left the commission soon after the tax credit decision become final. 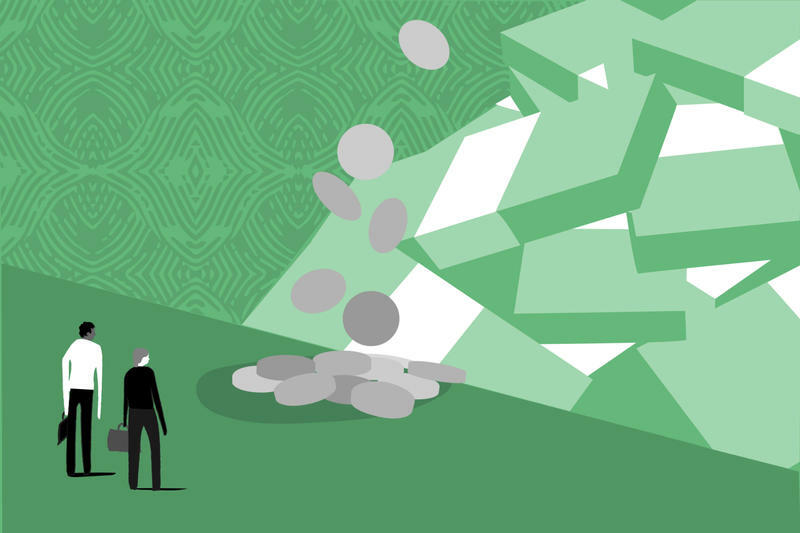 Crowell and other critics of the low-income housing tax credit program contend the incentive is inefficient — and is a financial boon for bankers, syndicators and developers. But proponents say the tax credit is critical to developing high-quality housing for vulnerable Missouri residents. They’ve also disputed claims, including from Republican and Democratic state auditors, that the program is as wasteful as detractors alleged. In any case, Crowell said the onus is on the General Assembly to make changes to the low-income housing tax credit program. If the legislature doesn’t act to Greitens’ liking, the governor could indefinitely block those incentives from being issued, which could continue as long as three to seven years, depending on whether he gets re-elected. One of the senators looking to reject Greitens’ three commision nominees, Sen. Rob Schaaf, R-St. Joseph, acknowledged that the governor had the upper hand in this dispute. “The bottom line of it is the governor always wins,” Schaaf said. “He’ll replace all these members of these boards and commissions eventually. He’ll get his way. There won’t be any more low-income tax credits. There will be a new commissioner of education. All of the boards will eventually be stacked with his people. But what we — the Senate is saying is if we see you railroading the process, we’re going to put a stop to it. Lt. Gov. Mike Parson was one of two commission members to vote against the low-income housing tax credit freeze. This policy divergence is one of the reasons longtime observers of the program were carefully monitoring whether Greitens would resign after he admitted last month to having an extramarital affair before he was governor. Lt. Gov. Mike Parson introduces Greitens before he makes his State of the State address on Jan. 10. Crowell said there’s little doubt that some elected officials’ desire to see Greitens resign is linked to disagreement with the low-income housing tax credit situation. House Minority Leader Gail McCann Beatty said it’s “probably true” that some elected officials wanted Greitens to step aside because they would get more favorable policy outcomes from Parson. But the Kansas City Democrat added the incentive is crucial for housing development in urban parts of the state. “Losing those tax credits is a big deal,” she said. Chris Krehmeyer, Beyond Housing CEO and president, says the program can be changed to increase efficiency. But if the tax credit freeze stretches on for years, Krehmeyer said there will be a large impact on housing. Beyond Housing has used low-income housing tax credits for housing developments throughout the St. Louis area. St. Louis Public Radio’s Marshall Griffin contributed information to this story. 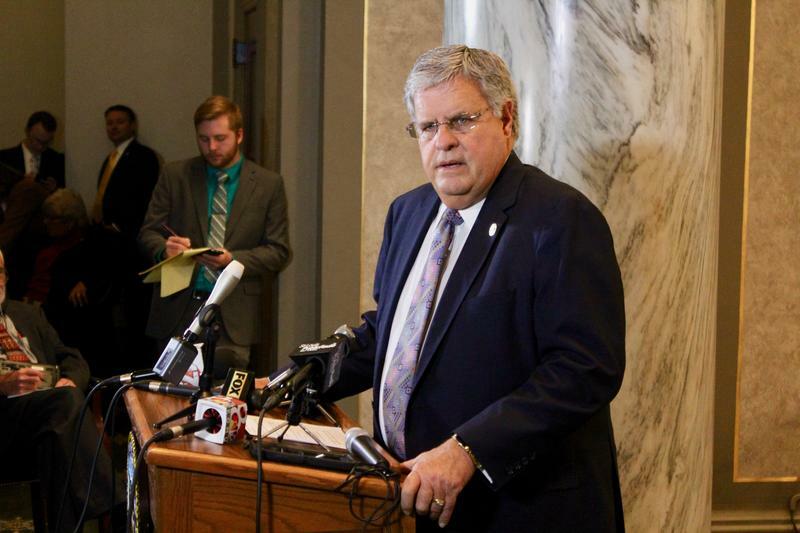 One busy week leads to another as Missouri lawmakers wrestle with tax credits, a major ethics bill, and next year’s state budget. The House this week sent a proposed lobbyist gift ban to the Senate, which is conducting a public hearing on it next week. The bill has died two years in a row over concerns that accepting a piece of gum or a slice of pizza could become illegal. But Senate Majority Floor Leader Mike Kehoe, R-Jefferson City, said he’s committed to crafting a gift ban that the full Senate can support. Missouri Gov. Eric Greitens is unveiling more details of his tax overhaul, which seeks to pair income and business tax cuts with paring down some popular tax breaks. 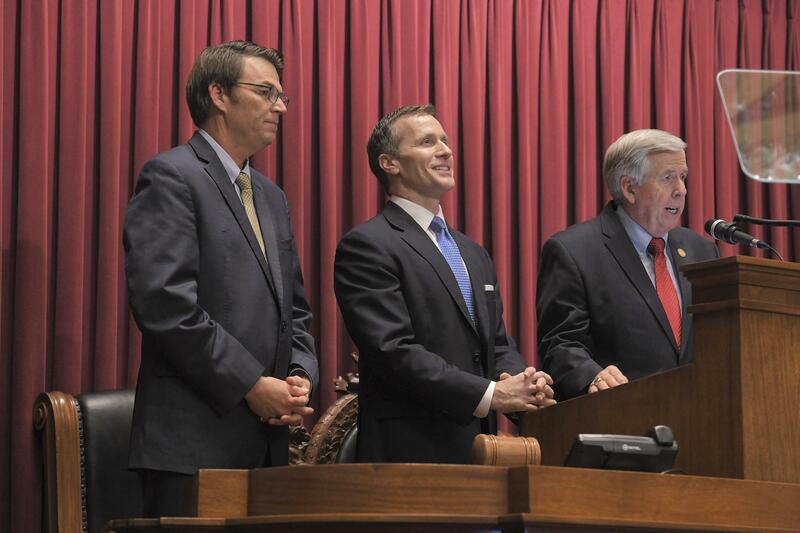 Greitens’ proposal would cut Missouri's income tax to 5.3 percent. Legislation that was passed in 2014 is already gradually reducing the state income tax to 5.5 percent. The proposal would also lower the corporate income tax from 6.25 percent to 4.25 percent. And it would institute an earned income tax credit for certain types of workers. Missouri Gov. Eric Greitens and Republican lawmakers are angling for tax cuts during this year’s legislative session. It’s a policy push that the GOP officials believe will make the state more attractive to businesses and potential residents. 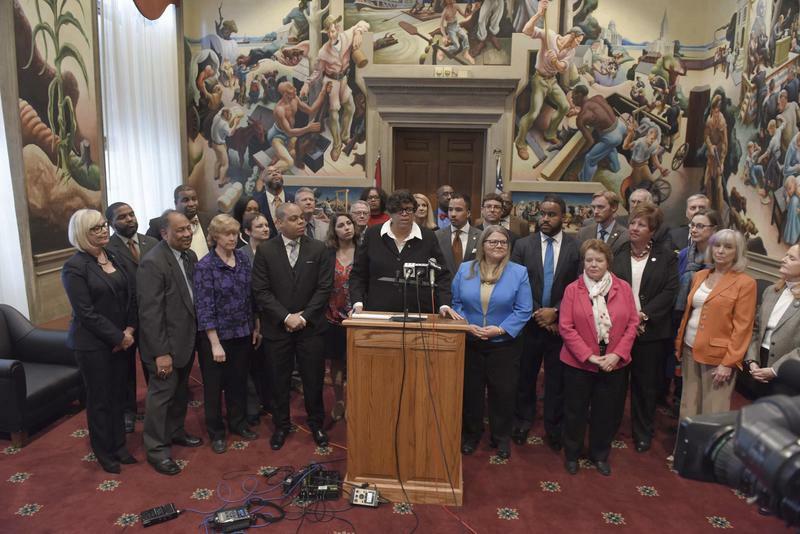 But with the state facing yet another tough budgetary year, members of both parties worry that cutting taxes will deprive Missouri of revenue needed to fund basic state services. Some fear that Missouri is marching in the same direction as Kansas, where tax cuts have been criticized for hurting the state.